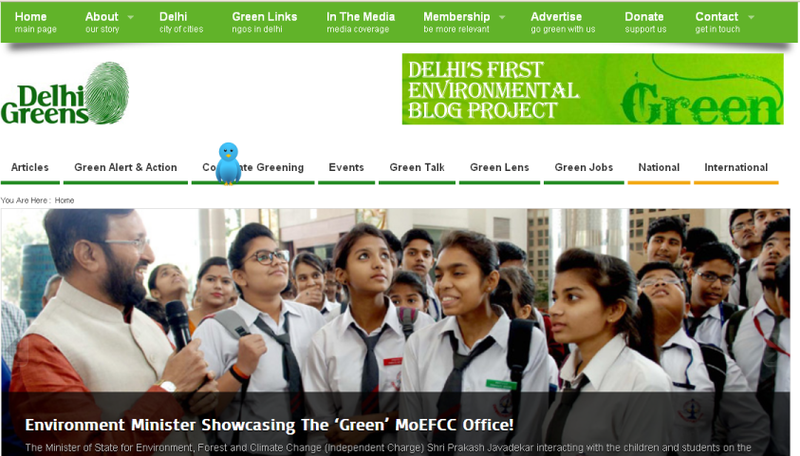 The Delhi Greens Blog Project is the flagship project of the Delhi Greens organisation and was initiated in March 2007. The Delhi Greens Blog is Delhi’s first Environmental Blog Project and was launched at a time when environmental news was wanting in mainstream media. The Delhi Greens Blog (DGB) continues to run as an information portal for green news, articles, events and activities in Delhi NCR and is now at the forefront of the global and Indian environmental movement. On 24 July 2008, along with the legal registration of the Delhi Greens organisation, the Delhi Greens Blog was commissioned as the first official project of its namesake organisation. In its over a decade of working, the Delhi Greens Blog has worked to raise relevant environmental issues and generate considerable awareness towards environmental protection. The working and success of the Delhi Greens Blog project has been presented at several academic and civil society platforms, has been appreciated by media and has won awards and recognition from time to time. The IndiBlogger Community conferred it the Best Blog under Social & Environmental Category and recently, the United Nations Framework Convention on Climate Change (UNFCCC) featured the Delhi Greens Blog as a Momentum for Change – Lighthouse Activity guiding its readers towards taking positive environmental action. The Delhi Greens Blog was Founded and is Edited by Dr. Govind Singh and comprises a dedicated team of Staff, Interns and Volunteers who work round the clock to achieve its aims and objectives. Until you dig a hole, plant a tree, water it and make it survive, you haven’t done a thing. You are just talking.